The following is an Ignite talk delivered at Tim O’Reilly’s 2012 Health Foo – Microsoft Research Center, Cambridge, Massachusetts. As I see technology advancing around me, I think about the future of the physician. Where are we going to fit in? Will we become obsolete? Are we headed for a medical singularity? The good news for me is that despite the health 2.0 movement I’m still more trusted than a social media consultant. But this question of the doctor’s future is a serious question. Because what we once did with our eyes, hands and ears is being replaced by diagnostic widgets. Social and technological forces are conspiring to make the traditional role of the doctor irrelevant. Notice that we’re no longer defined by the stethoscope. And probably for good reason: the stethoscope lost its status as a critical diagnostic instrument at some point in the 20th century. This study demonstrated that some trainees aren’t exactly sure what they’re listening to. Why should they be? We’re less dependent on manual tools of physical diagnosis than in the past. The importance of the physical exam is changing. A child presenting to an ER with abdominal pain, for example, may be imaged by CT before ever being touched by a doctor. The physical exam was critical when it was all we had. We’re becoming dependent upon accessible technology and precise forms of diagnosis. 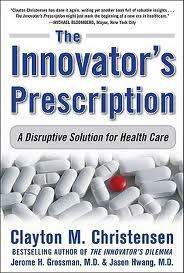 Clay Christensen and Jason Hwang in The Innovator’s Prescription describe the landscape of medical care as evolving on a spectrum ranging from intuitive to precise. Intuitive medicine is care for conditions loosely diagnosed by symptoms and pattern recognition and treated with therapies of unclear efficacy. As the ‘art of medicine,’ intuitive medicine is dependent upon clinical judgment. Precision medicine is the delivery of care for diseases that can be precisely diagnosed and treated with predictable, evidence-based treatments. Looking at medicine’s progression another way….In the 19th century we treated symptoms; in the 20th century we treated diseases; In the 21st century technology we will predict and prevent disease. There’s an endemic insecurity among the 21st century doctors: we want the precision that technology brings while at once proving that we can still do it all with our hands. We want to see ourselves just as indispensable as we were 100 years ago. Intuition is a human element that keeps us most relevant. As we extend our human abilities with new tools and creeping artificial intelligence makes its way into our workflows we’re entering a new period of posthuman medicine. This, of course, has huge implications for doctors. It’s not just technology, but the patient that’s reshaping the physician. For a couple of hundred years you came to the doctor and they’d tell you what to do. But then came the internet, and ultimately social networks and the ability to connect. Patients can now adjust what they’re doing based on the input of others. Now information finds patients. Information is the new 3rd party in the exam room. The social web has created a type of disintermediation. And the physician encounter is evolving as a more narrowly defined element in an individual’s quest to understand their condition and get better. In the end I suspect that doctors won’t be replaced but will be radically redefined. The physician of 2050 will have workflows and ways of thinking that are critical but unrecognizable to today’s physician. But we’re not prepared for the future. The next generation is not ready for the changes that are coming. We’re seeing digital natives appearing in medical school to be trained with analog tools and a curriculum structured for the early 20th century. We need medical education reform consistent with what is perhaps the physician’s most dramatic transformation in recent history. Despite my technodeterministic predictions, the physician will always have a role. But I suspect that over the coming generations technology will take us further from patients. But this will create a new opportunity and a new uniquely human role for the physician of 2070. Machines may help us understand what constitutes a real human connection. 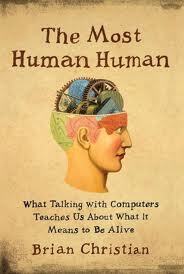 “Maybe it’s not until we experience machines that we appreciate the human…The inhuman has not only given us an appetite for the human; it’s teaching us what it is.” – Brian Christian, The Most Human Human. 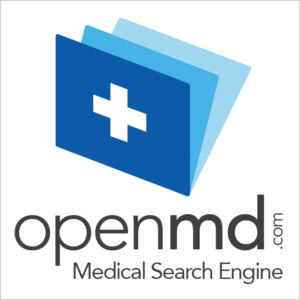 Can Google Help Us Choose Doctors?